Knowing what to eat for type 2 diabetes can be frustrating, especially if you have high blood sugar. And then trying to figure out a high blood sugar diet that brings down your sugar can get confusing. If you’re struggling to get this handled, I have a couple of tips here to help you get things under control. 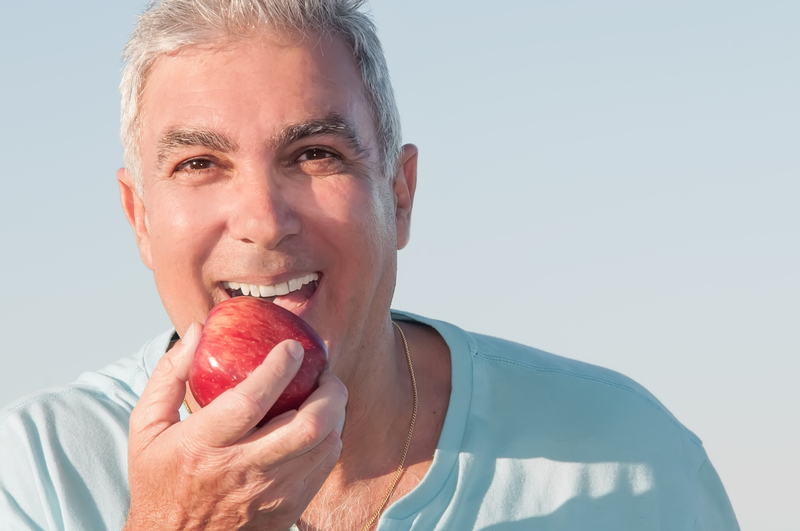 I’m going share with you how to eat better, so you don’t have to worry about high blood sugars, and all of the dangers that come along with them. Does A High Blood Sugar Diet Exist? I do feel that this exists. Think of it as a “blood sugar safe” diet. Here’s why… you’ll safeguard against high blood sugars by eating foods that are gentler on your blood sugar. Tip #1: Manage starchy carbs, while limiting, or eliminating processed and refined carbs. refined fruit juices such as orange juice. And if any of this sounds challenging for you, don’t worry, I will tell you how to make this all easier for you, in a minute. Tip #2: Add green leafy vegetables to your meals. Foods like kale, collard greens, and spinach, are non-starchy and contain fewer carbohydrates. They’re also very high in nutrients. These are some of the most nutrient dense foods you can eat. Not only are they very healthy for you, but they will help to keep your blood sugar levels lower. Tip #3: Balance your macro nutrients, with each meal. This can be done by eating a balanced plate, at each meal. The 3 major macro-nutrients are: carbohydrates, protein, and fats. 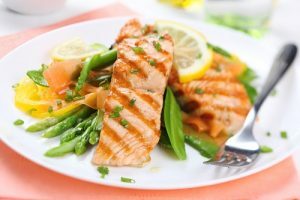 The nice thing about balancing them, with each meal, is you also reduce your blood sugar, because fats and proteins, when eaten with carbohydrates, act to reduce the rate at which carbohydrates are absorbed, which leads to your blood sugar being much lower, than if you ate carbohydrates, all by themselves. One simple way to accomplish this is to have 1 serving of a starchy carb, 1 serving of a non-starchy carb, such as a green leafy vegetable, and a lean protein with each meal. 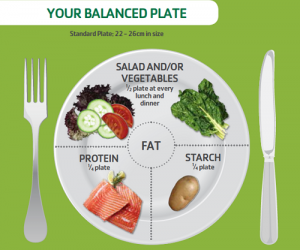 Try to fill half of the plate, with the green leafy vegetable (non-starchy carb). The portion of lean piece of meat, should be the size of a deck of cards, and the serving of starchy carbs, should be the size of a fist. And remember, when choosing starchy carbs, your choice does matter. And in the end, the only way to know for sure, which carbs you should have more or less of, is to test your blood sugar, after meals, to figure out what you can handle. A good way to add healthy fats to your meals would be to add healthy choices such as avocados, cheese, or nuts to your meal. So this is my recommendation for a high blood sugar diet. Manage starchy carbs, add green leafy vegetables, and balance your macro nutrients. If you did nothing else but these 3 tips, you’d make huge progress with controlling your blood sugar. But if you REALLY want to get this area handled and you’re struggling to fix your blood sugars, I’d like to share with you a program called Master Your Diabetes. The great thing about this product is it offers simple techniques, for getting off of the diabetes diet rollercoaster, and ways to reduce your diabetes medications.